TSCA FIRST FRIDAY IS GOING TO BE “GRATE”!! 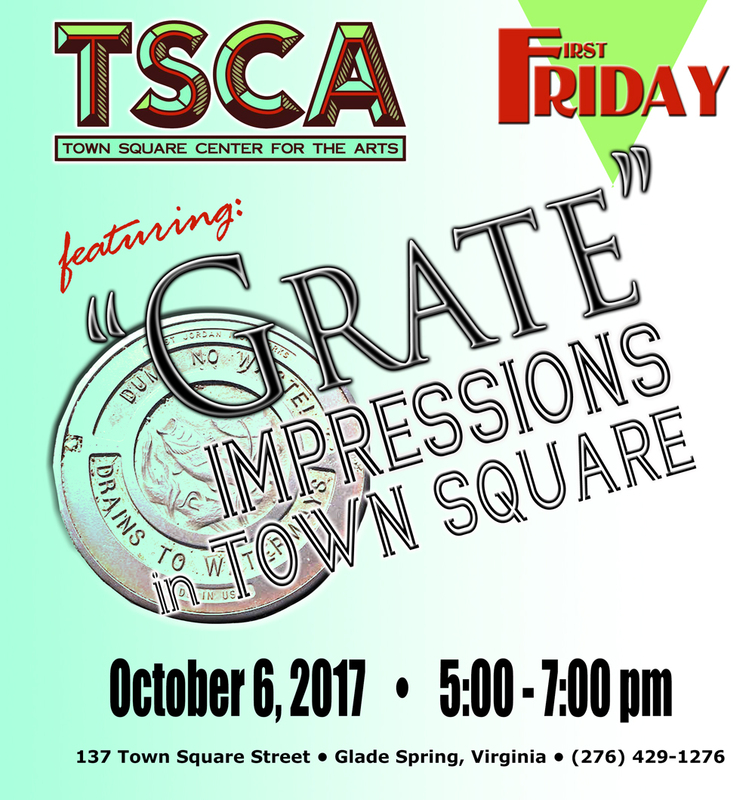 October’s First Friday at Town Square Center for the Arts (TSCA) is going to be “GRRRRRRRRAAAAAATE”!!!!!! So, make plans NOW to “be a part”!!!! Come join us Friday, October 6 from 5-7 pm for a unique fundraising experience! Each person will have the opportunity to do a graphite rubbing of one of the fabulous grates located in the Town Square. Each rubbing will cost $5.00, and will include all materials needed. We will have some pillows and knee coverings, so wear your work clothes so you can produce your very own masterpiece (rubbing). We also have “GRATE” t-shirts for sale. They look fabulous and you will definitely want one. Resident artists will be demonstrating their skills and you can always purchase some of their fabulous pieces for yourself or someone special. We also thought it would be fun if we changed our refreshment plans and do something totally different. We will be serving hot dogs and all the fixings so that you can eat outside and participate or watch as we do the rubbings. Come for a fun few hours here at TSCA. As always we appreciate your support.